Controversial media personality Daddy Freeze is sure not relenting in his fight against Nigerian pastors. In a new post celebrating Pastor Oyedepo on the completion of his new mega City Freeze took a shot at the pastor as expected. 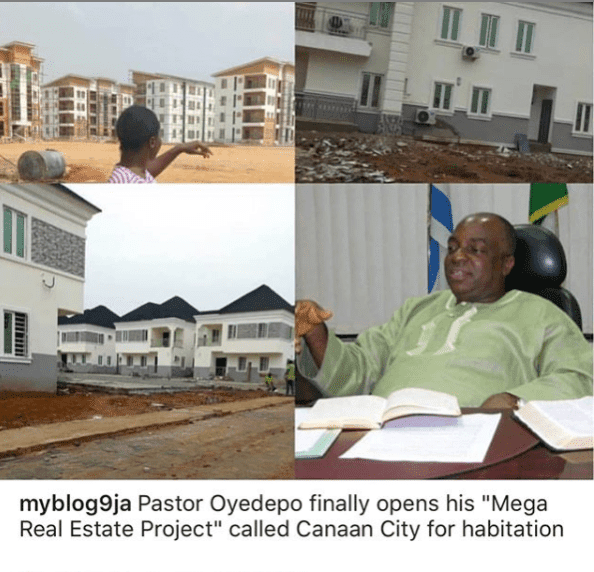 Sharing a blog post on his IG page, Freeze slammed the pastor as well as the members who contributed to ensure the estate is completed. Lets congratulate the bishop and the members of his church (a number of whom are poor), for making his dream come true.